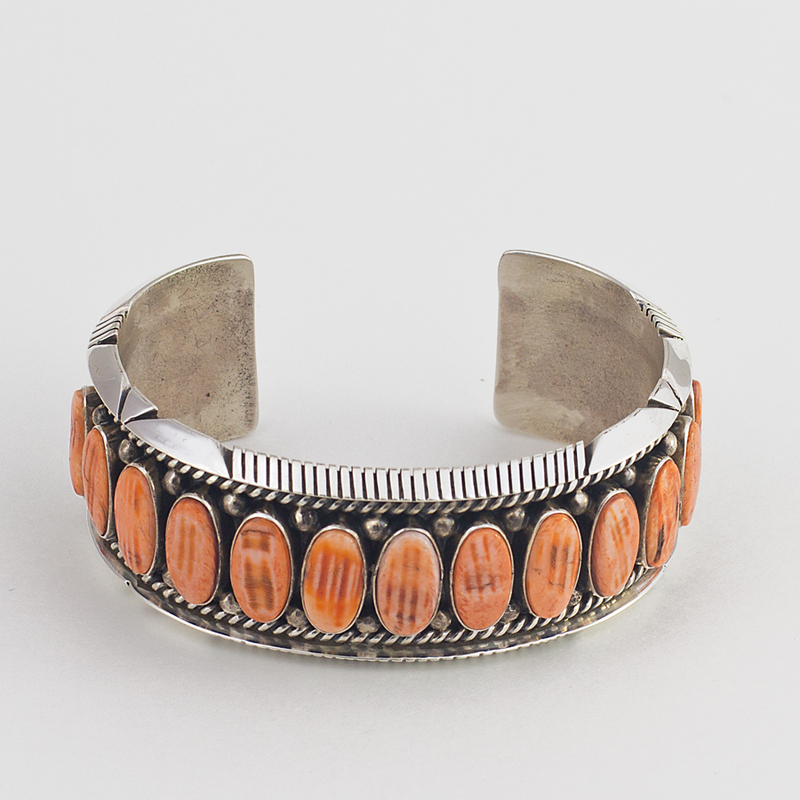 Orange spiny oyster shell in long oval cabochons march around this bracelet, giving a new look to a traditional Navajo bracelet. Maryanne Spencer makes well-crafted pieces with a traditional old style flair. Note the beautiful cut work and “raindrops”. 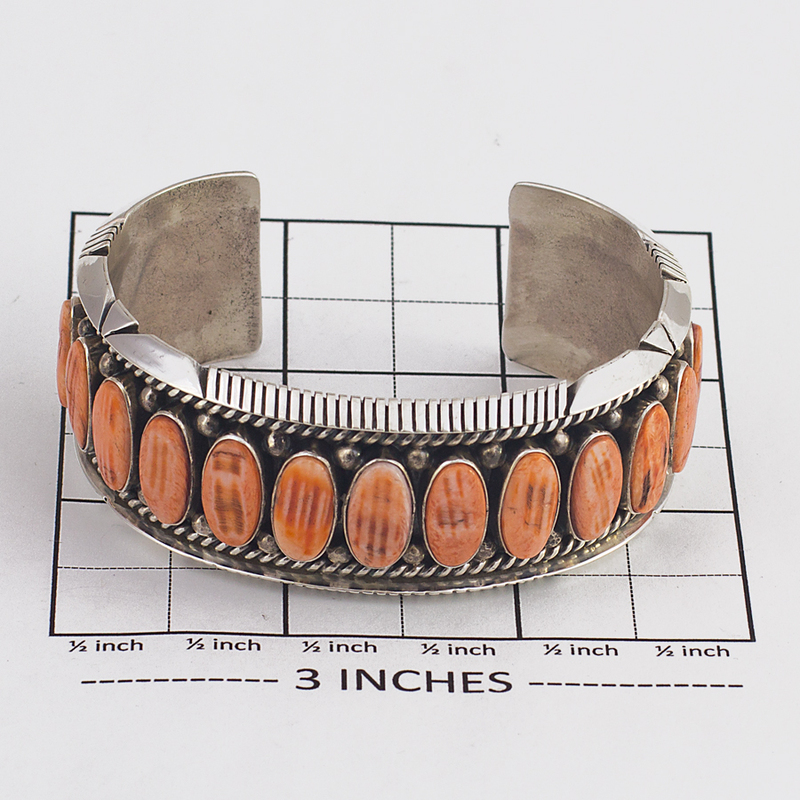 This heavy cuff bracelet would work well for a man or a woman. Hallmarked “M. Spencer” and sterling. Weighs 60.0 grams. As Shown: will fit 7″ wrist. M Spencer Spiny Oyster Bracelet showcases vivid orange and bright Sterling Silver. 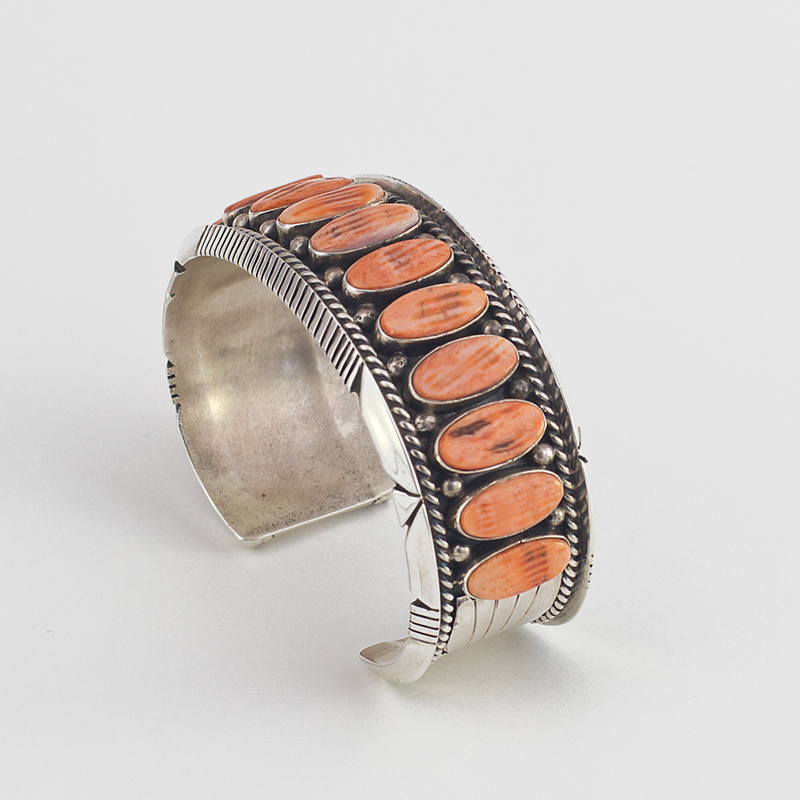 Handmade by a skilled Native American Silversmith of the Navajo tribe.